Hermanville denizens from 49 or 50. Sy Friedman is in the last row with the diamond pattern shirt. Gene Gordon (Rooster) is to his left with the sunglasses, cap, dark tshirt and bandana. Artie Goldberg is at the lower left of the picture (partially obscured). 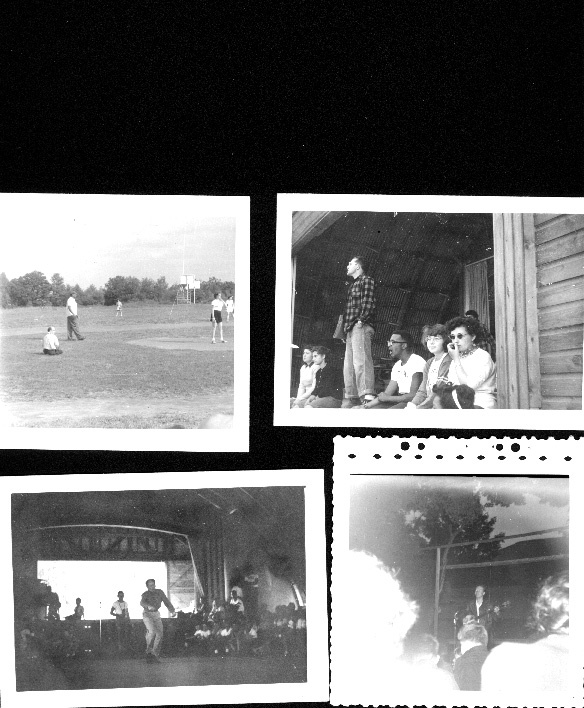 Lower left - Paul Draper dancing at the Robeson Playhouse. 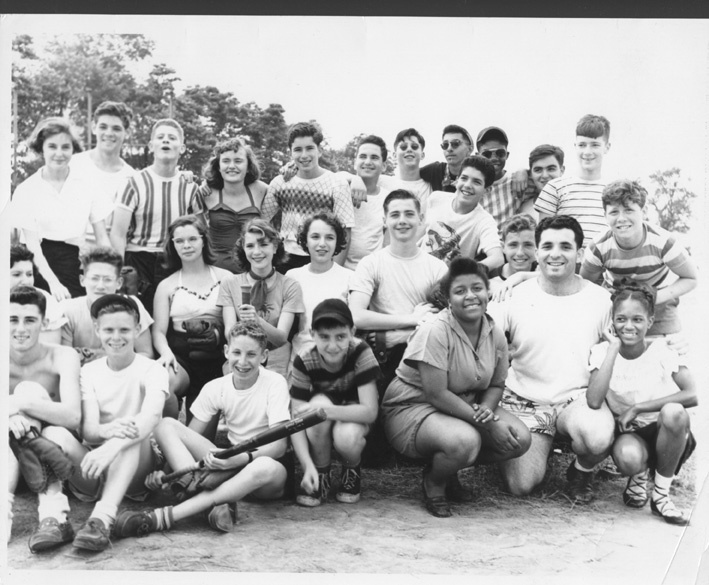 Upper left - Paul Robeson umpiring a softball game. Upper right - Morris Salz (sp) & others.